Today during both our church services, we were blessed to workshop with members of the Wheaton College Men’s Glee Club. 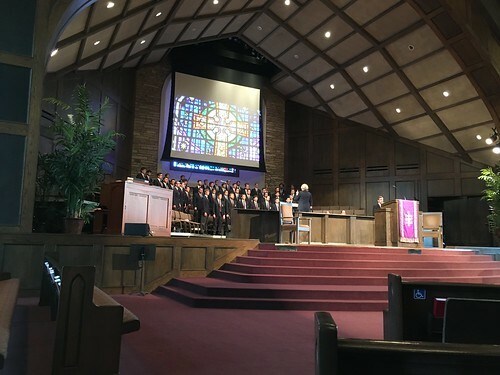 This is an excerpt of the song they sang during the offertory, “E’en So, Lord Jesus Quickly Come,” This video version by a different choir includes the full song with subtitles. This entry was posted by Wesley Fryer on March 6, 2016 at 3:44 pm, and is filed under church, faith. Follow any responses to this post through RSS 2.0. You can leave a response or trackback from your own site.